And now the rest of the show! After a nice lunch at the Hilton I moved to the static display area. 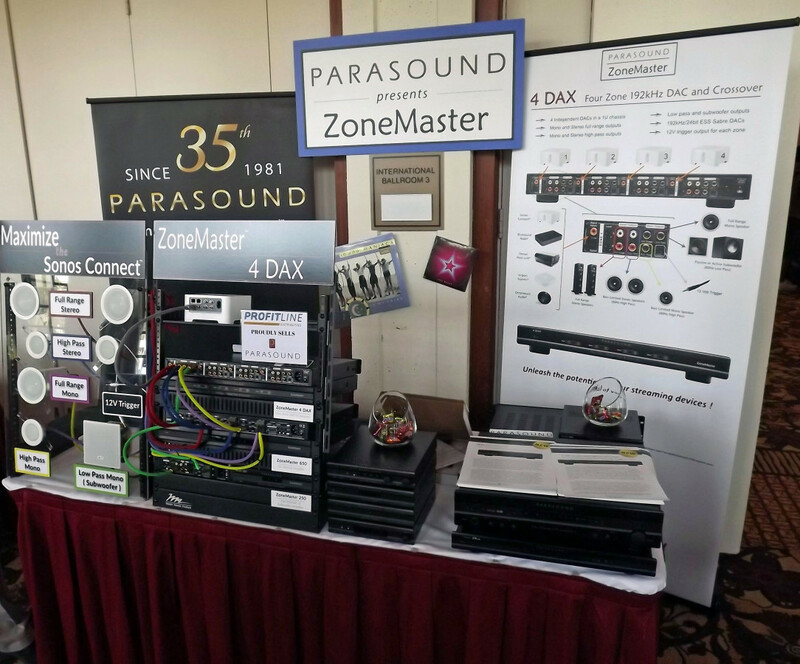 The front hall and small convention area were filled with everything from JL Labs Subwoofers to accessories for terminating wire. My focus for this article will be primarily audio with some video thrown in. Regrettably most of what I saw was older products, much of which I talked about in last year’s CI Expo article. Therefore, I will keep this rather short. The first table was Krell. 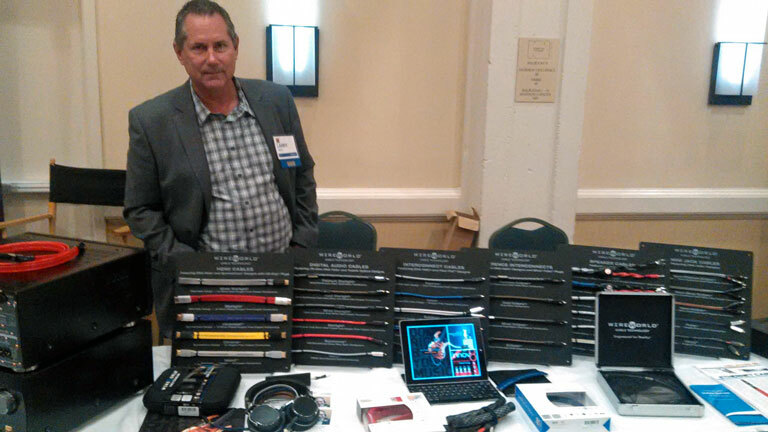 They were displaying their Digital Vanguard 200w/ch Integrated Stereo Amplifier. 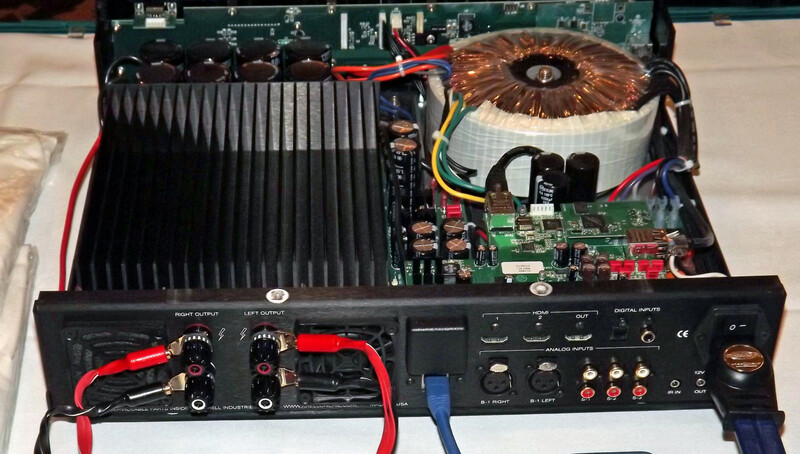 This amp was originally introduced at CES 2015 as the Vanguard ($4,500). 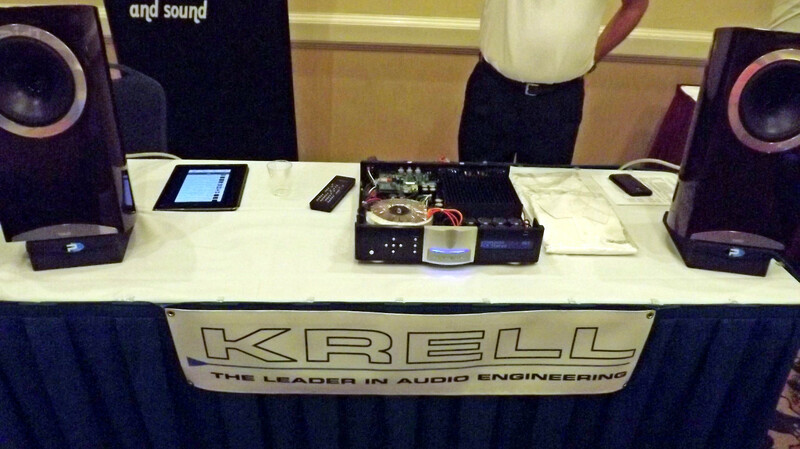 Then this year Krell added a digital upgrade for an additional $1,500 for those who already have the Vanguard amp. Or it can be ordered as the Digital Vanguard. It is very nicely built with plenty of inputs and outputs for the needs or wants of virtually any audiophile. A key feature for the Digital Vanguard is its digital module, which includes USB, HDMI inputs and output, coax and optical digital inputs; Ethernet music streaming controlled through dedicated IOS and Android apps and Bluetooth wireless for convenient streaming from phones, tablets and computers. The Krell Digital Vanguard boasts 1 pr. balanced via XLR connectors, 3 pr. single-ended via RCA connectors, 2 HDMI for 2.,1 USB(Front Panel), 1 RJ45 Network Port. The output includes: 1 pr. speaker outputs via WBT gold-plated binding posts, 1 HDMI with ARC support. Considering the price I would expect both a headphone output and a pre-amp output so you can either add a subwoofer, or a sender for wireless products. Overall, I am impressed at the Digital Vanguards build quality, fit and finish. It was a shame the display was static, so no opportunity to listen to it. Wireworld is one of what I call a real wire company. They don’t just repackage what is out there already, they actually engineer and develop new wire technology. This year they were showing something I haven’t seen before in an Ethernet cable. They call it Starlight CAT8. Imagine a 23awg solid silver-clad OFC cable! It boasts technology capable of keeping up with future high speed requirements. This is not your skinny little off the shelf CAT cable. It is wider and better and actually pretty cool. They also showed a new speaker cable called Helicon. It looks like a twisted flat wire pair, but is in fact two sets of 8 solid core wires in a side by side litz configuration, twisted and terminated. I really want to get my hands on this cable for a long listening. By the way…. It is patented. Parasound was showing two new units from the Z series line of gear. The Zpre3 is their third generation half size pre-amp. It is super small at only 8.5″ wide and 2″ high. This little jewel offers performance competitive with larger full feature preamps that sell for hundreds more. It is a line stage preamp, so no phono preamp, but it does come with a full function remote. 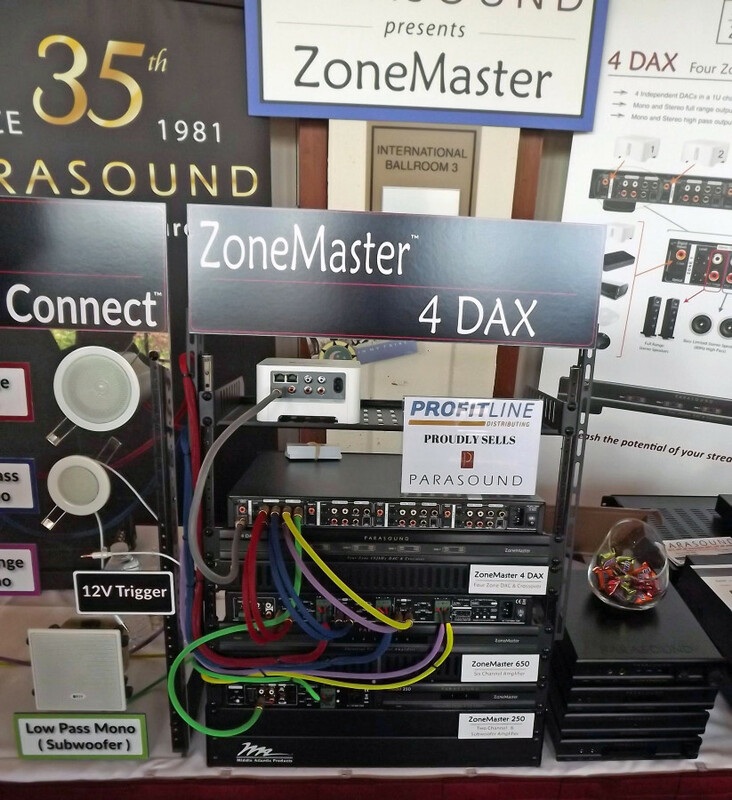 Originally designed as a Zone product (hence the Z in the name), it offers a lot of features like both fixed and variable outputs as well as a sub out and a bypass for home theater applications. It also has a RS232 connection with volume control and feedback, as well as both bass and treble controls and automatic turn on volume memory. I didn’t get to listen to it at the show, but since it is basically an updated version of the old Zpre II which I sold for years and used a lot in multiple applications, I am confident of its sonic ability. The second new item they were showing was their 4 DAX. This is a four zone 192/24 DAC and Crossover. At its heart is the highly touted ESS Sabre DAC. Each of the four zones in addition to the DACS include both full range and high pass outputs. Also, like the Zpre3, it includes multiple mono outputs plus individual level adjustments. It appears Parasound developed this product as a way of elevating streamers like the Sonos to a higher level by taking the digital output and sending it to the 4 DAX and then to a nice pair of amplified speakers. Defiantly a unique product.